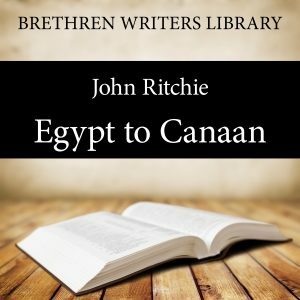 In From Egypt to Canaan John Ritchie traces the epic journey of the Israelites from their redemption by blood all the way to the promised land. These incidents in Israel's history are illustrative pictures or ‘types’ (in the book of Hebrews they are called patterns, figures, and shadows) from which God will teach us important spiritual lessons if we are willing to learn them. It is profitable to hear about these things to learn again of the power and grace of God, the love and sacrifice of our Saviour, and the never-failing resources available for us as we travel through the wilderness of this world. Christ is the key to all these parts of Holy Scripture for everything was pointing forward to Him. This was an unholy and often stiffnecked people (like ourselves) amenable to the wrath of a holy God, yet how wonderful it is to see how God would find a way by which He might dwell among them and fulfil His purposes about them. The short chapters of this book are self-contained studies of topics of spiritual value. In the belief that such teaching is timeless in its relevance and applicability, this is a new edition in a style, format and language suited to the present day. In 1877 he married Miss Jeannie Liveston and in 1879 they moved to the town of Kilmarnock and he became engaged in writing and printing. He set up the publishing house still known as John Ritchie Ltd. His best known works are “The Tabernacle in the Wilderness” and “From Egypt to Canaan”.